And finally we reach the end of our short series on the Delta Module One exam. In this article we're looking at the last task in the exam : Paper Two Task Three. When you've read it, you can test your knowledge of the requirements of the whole of Paper Two by taking this quiz. You'll need to register for the website, but it's free and there are no strings attached. Missed some of the other articles in this series? You'll find links to all of them here - just scroll down the page. But if you're preparing for the Delta Module One, don't forget that you'll find a lot more information about all the tasks in the exam, with sample questions and answers, plus advice for tackling the questions in the Handbook for Tutors and Candidates and the exam reports published by Cambridge English. Click on the link to download them. Paper Two Task Three is "the methodology question". In some ways it's one of the hardest to prepare for, as it's the only question which doesn't have a completely standard format. Acquisition and learning are not two distinct processes (as Krashen would argue) but that conscious focus on form and meaning ("noticing") can aid the acquisition process. The depth of cognitive processing involved in working out the rules for themselves is more likely to result in "noticing" and retention than if the teacher simply "informs" the learners. They are "constructing" their own knowledge (Vygotsky) as they work actively on the new information and incorporate it with previous knowledge. They will formulate the rules in a way that "makes sense" to them, which will aid retention. Learners should be helped to be as autonomous as possible. This approach will promote learner autonomy as the learners will be equipped to work on the language for themselves outside the classroom. When you are asked to consider the suitability of the approach/teachniques for different learner types and learning contexts, it's useful to have a checklist in mind that you can quickly run through mentally. Not all of the categories will be applicable to every question, but the list will help you organise your ideas. 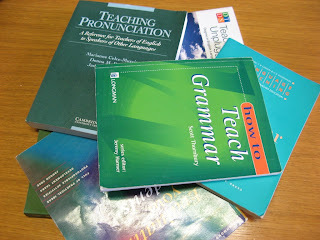 Some of the categories you might take into consideration are : L1 groups and mono- vs multi-lingual classes; cultural/educational background; age groups; learning style categories and multiple intelligences; intensive vs non-intensive courses; EAP, Business English and other special purpose groups; learners with special needs; mixed ability groups; personality types (eg extrovert /introvert); class size. So, one of the learner types you might identify the guided discovery approach as being suitable for would be analytical learners (or depending on whose categories you work with, you might also mention Gardner's Logical-mathematical intelligence), who enjoy problem solving and critical thinking. On the other hand, you might point out that it would not be suitable for very young learners, who have not yet developed the cognitive skills necessary for the activity and who, still being in the "critical period" for language acquisition (Lenneberg) can still acquire language through unanalysed input. When you're answering this task, don't try to write a connected essay. Answer in bullet points (as in the example above) and keep the points short. There are forty marks available and so, working on our usual "one mark per minute" principle, you should aim to complete it in 30-40 minutes. You'll be awarded two points for each valid point you make up to a maximum of 30 marks, so aim to make 15 points. The remaining ten points are awarded for overall depth of response - so give details, and refer to research and theorists to back up what you say. If you're interested in taking the Delta modules, check out the courses that we run for the scheme. For Module One we offer online courses which you can follow wherever you are in the world, taking the exam itself in a centre geographically convenient for you; blended learning courses (for participants in N.Italy); and occasional residential seminars. These are open to anyone preparing for the exam, whether you're studying with us, are self-preparing, or have previously done a course at another centre and need a refresher course before taking or retaking the exam. You'll find full information on our courses for all three modules of the Cambridge English Delta scheme here.